Eversheds Sutherland is a national law firm known for solving challenging business problems and resolving unique legal issues for a wide range of clients – from emerging companies to Fortune 500 corporations. With more that 400 attorneys and offices in Atlanta, Austin, New York, Tallahassee and Washington, D.C., our lawyers practice in a number of areas including corporate/securities, energy, and commodities, intellectual property and technology, litigation, real estate and tax. Acuity is fixed-price virtual bookkeeping designed specifically for entrepreneurs by CFOs. We build and maintain transactional accounting functions for companies using the latest accounting technologies and financial best practices – all supported by our team of accounting experts. Baker Donelson: Expand your expectations. Our clients know it’s not just the wide range of legal services we provide, but how we deliver them that matters most. Because we understand each client’s business, we are able to anticipate needs and help make smart decisions based on specific goals and objectives. Our goal is to be a valued business partner to our clients, building confidence, earning respect and helping them succeed. 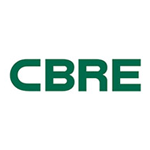 CBRE has been a leader in commercial real estate in Atlanta, Georgia, for more than 40 years, providing a full range of services to meet a broad range of client needs from site selection and lease negotiation to building management and valuation. A culture of collaboration empowers our people, and our clients, with the information they need to anticipate market opportunities, seize the competitive advantage and execute the best possible real estate strategies. Cherry Bekaert Currently ranked among the top 30 accounting firms in the nation, Cherry Bekaert is an innovative certified public accounting and consulting firm uniquely positioned to impart quality, cost effective and practical advice to a diverse group of clientele from the Technology and Life Sciences niches that include Software as a Service, Telecommunications/Wireless, Financial Services Information Technology, Clean/Green Technology, Healthcare Information Technology and Medical Device. Cherry Bekaert has the proprietary industry and specialty knowledge to design and deliver highly tailored solutions through a full range of services including: Audit & Accounting, Tax Compliance, Multi-State and International Tax, Mergers & Acquisitions Advisory, Internal Audit, Employee Benefit Plan Audit and SEC Reporting. J.P. Morgan Securities leverages one of the most comprehensive product platforms in the industry, as well as the financial strength of JPMorgan Chase & Co., one of the world’s oldest, largest and best known financial institutions. Our Investment Professionals offer clients a broad suite of transactional, wealth management and investment advisory services. They provide highly personalized service and access to world-class products and services offered through the global financial resources of J.P. Morgan. Miller & Martin PLLC has helped businesses and individuals achieve their goals practically and efficiently since 1867. Today, we are a leading Southeastern law firm with more than 170 attorneys in three cities. Our clients range from individuals to multi-national corporations. To meet the needs of this diverse client base, our attorneys dedicate themselves to understanding the unique issues facing each client. As a full-service firm with many specialized practice groups, we can address virtually any legal challenge. TriNet provides small and midsize businesses with a Full-Service HR solution so they can free themselves from the complexities of HR and focus on their goals. As their trusted HR business partner, TriNet assumes many of the responsibilities of being an employer and helps these companies contain HR costs, minimize employer-related risks and relieve the administrative burden of HR. TriNet offers bundled HR products tailored by industry and strategic HR services, resulting in a comprehensive and empowering solution.